New Delhi: Violence erupted at a village in Bulandshahr district of western Uttar Pradesh after a mob said to be of ‘Gau Rakshaks’ (cow vigilantes) protested against alleged cow slaughter on Monday. The clash between the protesters and cops claimed lives of two people, an SHO and a civilian. The deceased were identified as Subodh Kumar, the cop who was posted at Syana Police station, and 20-year-old Sumit. Following the incident, security has been beefed up with a large deployment of the police force (500 personnel of Rapid Action Force and 600 personnel of Provincial Armed Constabulary) in the area. The incident took place at around 11 AM near the Chingrawathi crossing when the mob went berserk alleging that some cows had been slaughtered by a community. Raising slogans against the police administration, they loaded the carcasses on tractor trolleys and blocked the Bulandshahr-Garh State Highway. To pacify the protesters and maintain law and order, a police team led by Inspector Subodh Kumar Singh rushed to the scene. But Singh was critically wounded when he faced the wrath of the crowd pelting stones. TV reports claimed that the cop was also shot in the head. He was rushed to a community health centre where doctors declared him brought dead. Shots were fired by unidentified assailants in which local youth Sumit was hit who succumbed to his injuries. There were conflicting reports on how the inspector was killed. While some sources said the police officer was attacked by blunt objects and stones, a video doing the rounds on social media showed the slain officer hanging upside down from his official vehicle, apparently shot in the head. In the same video, reportedly shot by locals, youths could be seen running around the vehicle, saying that the SHO has been shot. They ran away thereafter and converged on the main road mouthing obscenities. Later, a post-mortem report confirmed that the officer suffered both gunshot injuries and was also hit by a hard and blunt object. The officer had probed the lynching of a Muslim man in Dadri, also over allegations of cow slaughter. Chief Minister Yogi Adityanath has set up a Special Investigation Team (SIT) and directed Additional Director General (Intelligence) S.B. Shiradkar to present a detailed report within two days. He expressed his grief on the deaths and assured of a speedy investigation. Yogi also announced a compensation of Rs 40 lakh for wife, Rs 10 lakh for parents and a government job for a kin of Kumar. 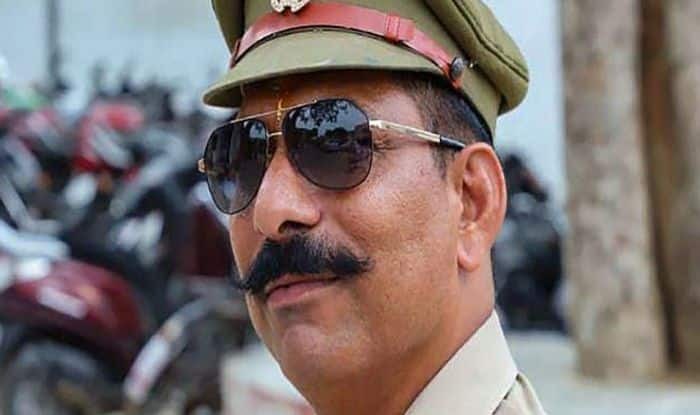 Addressing a press conference, ADG Law and Order Anand Kumar said the UP government acted swiftly and ordered an SIT probe, besides an inquiry by the ADG intelligence and a magisterial probe. Meanwhile, Congress’s chief spokesperson Randeep Surjewala said that after “handing over” Uttar Pradesh to “anti-social” elements, Chief Minister Yogi Adityanath is busy campaigning for his party. “Absence of law and order and violence unleashed by mobocracy is the real identity of BJP governments,” he tweeted in Hindi. He also conveyed his condolences to the family of the deceased SHO.